Over on page 20 of the current Infinity War thread, Adam and Josh and I were discussing an apparent need for a spoiler thread for this film. Hopefully we'll get a separate spoiler thread started soon, because it's hard to discuss this movie without getting into significant spoilers, and people in this thread deserve to be protected from that and have the surprises preserved. Agreed - I would love to be able to discuss this movie but it feels hard to do so without resorting to massive uses of spoiler boxes. It's not so much that the plot is a mega-surprise with twists you'll never see coming; it's more that the film is packed with moments, big and small, that happen throughout and which are delightful, and those moments deserve to be enjoyed by viewers watching the film for the first time. In many ways, the little moments carried more weight with me than the bigger picture items. +1. I actually suggested this a couple weeks ago for this film, but at the time it felt like most people thought only Star Wars would necessitate separate threads. I think, though, seeing the movie, the value of having a separate thread becomes clear. So, I thought I would go ahead and create one. Hopefully the moderators approve. If not, I apologize, but it feels like there is a desire for a space to discuss this freely without using spoiler tags. So here it is. Obviously, anybody still needing to see the movie should not hang out in here until you've done so. DaveF and Sean Bryan like this. To kick things off in here, I'd just like to re-bring up my thoughts from last night and earlier today which were covered in spoiler tags in the other thread, and we can go from there. Normally, I wouldn't re-post my own content, but for the purposes of beginning a spoiler discussion, all of my questions still apply, so..
For all of the characters who just faded away, I'm not sure I would even call them "deaths" in a traditional sense. It was clearly Thanos using the gauntlet to thin out the universe as he said he would, but since there aren't bodies, I would suspect that their essences are still out there somewhere. Presumably, Avengers 4 will have to deal with not only how to stop Thanos from continuing to use the gauntlet, but also how to reverse at least some of his use of it and/or figuring out a way to get those characters back. My question is: if they can get some of the characters back -- and certainly they will have to get at least Spider-Man, T'Challa, and probably the Guardians -- then how can they not get all of them? 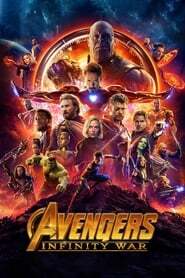 As in, how does Avengers 4 get the characters back that they need to have back, without also feeling like nothing happened? What's to prevent them from saving everyone and therefore obliterating the stakes? If they can rescue T'Chalia, why can't they rescue his father, and therefore undo his ascension to king in Black Panther, for example? Marvel will have to be very careful with the mechanics of how they manage to do this. Or what prevents Thor from resurrecting Loki again? I'm having a LOT of trouble figuring out how they get out of this. If it's just going to be 'we gotta get that time stone back' kind of deal, I will be very, very disappointed. Also, just to be all nit picky, how come Fury's stuff all disintegrated (clothes, patch, the gun he always wears, etc) but not his handy dandy "calling captain marvel!" pager? I wouldn't be surprised if the time stone were part of it, but I don't think that can be all of it. Plus, the person most qualified to wield that is Doctor Strange, and he's gone, so who could? Peter (Quill, not Parker) was able to hold the orb in Guardians Vol. 1, which contained the power stone, because his dad is a celestial, but according to Vol. 2, his celestial powers went out when he killed Ego. So even if he were still around, which he isn't, he probably couldn't handle it. Vision was able to possess the mind stone, but he's gone. Loki briefly wielded the Tesseract with the space stone, but he's dead. I'm just not sure who, on the side of good, is powerful enough to use the time stone and knows how to use it and is also not designated. Maybe because he wasn't wearing it? Well, we know that Dr. Strange looked at an enormous number of futures and found one that worked. We also know that he wanted Stark alive. We also know that before he faded he told Tony Stark that it had to be done that way. So, presumably he somehow set things in motion so that perhaps everything after he gave the time stone to Thanos can be reversed. I have no idea how they will sensibly do this, but I guess we will have to wait and see. The Captain Marvel movie comes out in April, and I bet it will have an end credits scene that teases us more as to her involvement in the sequel. During SHIELD tonight they had another short trailer for the movie and there was that scene we know isn't in the film - the Hulk charging with everyone in Wakanda. Nice bit of subterfuge by Marvel in having that different CGI placement - of Hulk instead of Banner in armor. Speaking of which, the final scene in the movie where we saw him looked weird to me - Banner in the armor there in the background just pulled me out of the movie. It just didn't look seamless. DavidJ, Mike2001 and Jake Lipson like this. I loved Hulk coming out long enough to refuse to come out. I thought that was hilarious. But I also hope there ends up being more to that story and a reason for this issue to kick in now, since Hulk did come out in the finale of Ragnarok, eventually. The Hulk was beaten so badly by Thanos he wanted to stay inside. By the way, I thought Nebula also was setting something up as well. Can't recall just what. By the way, I thought Nebula also was setting something up as well. In what part of the movie? She asked Mantis and the other Guardians to meet her on Titan, but at the end, it's just her and Tony left. It bears repeating: don't read this if you haven't seen the movie yet. One thing that I wanted to touch upon: the really effective reveal of Red Skull as the gatekeeper for the Soul Stone. The combination of the makeup and CG in combination with Ross Marquand's performance was really effective. I checked the credits certain that Hugo Weaving had come back. A truly seamless recast. My question is: if they can get some of the characters back -- and certainly they will have to get at least Spider-Man, T'Challa, and probably the Guardians -- then how can they not get all of them? My guess is that the deaths that occurred prior to Thanos obtaining all of the infinity stones -- like Heimdall and Loki at the beginning -- will stick, while those triggered by the fully powered gauntlet will not. I really wish they hadn't made Peter Parker one of the 50 percent that crumbled into dust, because it makes it obvious that not all of these deaths will remain permanent. Presumably they could make a Black Panther movie with Shuri having inherited the mantle, but there's no way Sony is making a Homecoming sequel without Peter Parker. I believe Fury had already let go of the pager before the deterioration reached his hand. The bigger question is: If the universe's most powerful being (besides Thanos, anyway) was only one page away this whole time, why didn't she appear to save the day for any of the other major calamities that plagued the Earth this last decade? Presumably her standalone picture will provide an answer. I agree 100 percent. Strange gave Thanos the time stone because the one timeline in the 14.6 million potential timelines that resulted in Thanos losing required that he give Thanos the time stone. While everything looks incredibly bleak, it's also almost certainly all playing out exactly as Strange saw it. We'll have to wait a year for the hows and the whys to fill in. I believe Captain Marvel comes out next March. But yes, I would bet it flows into Avengers 4 the way Black Panther flowed into Infinity War. I wouldn't be surprised if it's structured similarly to Captain America: The First Avenger, with the bulk of the film as a period piece and then an extended epilogue at the end set in the present day. During SHIELD tonight they had another short trailer for the movie and there was that scene we know isn't in the film - the Hulk charging with everyone in Wakanda. Nice bit of subterfuge by Marvel in having that different CGI placement - of Hulk instead of Banner in armor. Very curious. It's certainly possible that it was generated specifically for the ads as an intentional misdirect, or the decision to put Banner in the Hulkbuster armor instead came late in the game after that shot had already been finished. But I'm wondering if it's actually a shot from Avengers 4, and we're going to see another iteration of that final battle tweaked to ensure a better outcome for our heroes -- with the Hulk coming out to play being one of the changes. Detour (1945), Tino, Sean Bryan and 3 others like this. I guess that was what I didn't quite hear, but I thought there was something more. Not only that, but Homecoming 2 is scheduled to be released only two months after Avengers 4, which likely means that Sony will want to begin marketing it prior to the release of Avengers 4. And, since it is Sony releasing that, they are not necessarily beholden to do what Disney wants. Given how they ended things with Peter in this film, I really wish that Homecoming 2 were being released in a later part of the year, so that the marketing would not begin until after Avengers 4 is out. I'm really scratching my head how this is going to go, because even though we know he's going to be back, it's going to be very weird to sit there watching trailers of him participating in another high school comedy while in the midst of this storyline. But Sony isn't likely to budge on the July 5 date, because Avengers 4 is not their film and not their concern. I wouldn't be surprised if it's structured similarly to Captain America: The First Avenger, with the bulk of the film as a period piece and then an extended epilogue at the end set in the present day. That is an excellent theory. I think it's more likely they just created it for the ads, but I actually like that idea a lot. I think Hulk always felt like the baddest mofo around, especially after his time as Champion on Sakaar. And Thanos just curb somped him. So I think he is having a hard time dealing with that and really feels that failure. He doesn’t want to come out because he’s embarrassed and lost confidence in himself. Tino and Jake Lipson like this. Yeah, when the shadowy, cloaked character first appeared and started speaking I thought it was Hugo Weaving’s voice. When he was revealed to be the Red Skull I wasn’t that surprised because of Hugo’s voice. Pretty wild that it wasn’t actually him. I did always think that the Red Skull was somewhere out there in the universe because of the similarity between the visuals of when he was “killed”in Captain America The First Avenger by holding the Tesseract and when Thor and Loki transported back to Asgard at the end of The Avengers by the Tesseract. This was a nice pick-up of that thread. Johnny Angell, TravisR, Josh Steinberg and 1 other person like this. I've been thinking since the movie about the Guardians and timelines. We know Vol 1 and 2 take place about six months apart around 2014. And we know Infinity War is 2018. I wouldn't be utterly shocked if Vol 3 took place before this movie. I wanted to address this more in-depth here for obvious reasons. James Gunn has said that Vol. 3 takes place after Infinity War. It's possible he could have been lying to protect the twists in Infinity War. James Gunn is a pretty straight shooter. So I don’t think he was fibbing. But as Sean noted, I don't really think that's his style. Besides, more than almost any other solo Marvel franchise, he built things into the first movie that paid off in Vol. 2, and he seems interested in tracking the characters' progression. I really don't think he would be interested in going backwards in time with them when we know how they end up in Infinity War. Considering that Thanos kills Gamora, and several others denigrate, I would have a problem getting invested in whatever the Guardians are doing in Vol. 3 if it were a precursor to this film. I think it's more interesting to go forward and pick up with them after this story, so that we can see them again on their own (rather than with the Avengers) and see how this experience has changed them. Presumably, that means that they have to be rescued along with the other Peter (Parker) since they have Vol. 3 coming up. But I wonder if they will manage to get them all back, or if the team may be down a member when we pick up with them again. I'm not saying I want this, but I wonder about it. Guardians of the Galaxy has been my favorite Marvel sub-franchise since it debuted, the first one is just sensational, and contrary to popular opinion, I think Vol. 2 was the best superhero film last year. So, I'm really attached to these characters, and I don't want them to die, but James Gunn does like his stakes real (he said he'd never bring back Yondu so as to not undercut the emotional impact of his sacrifice in Vol. 2), so I wouldn't be absolutely stunned if there was a casualty. I also thought the choice of Gamora already knowing where the soul stone is was really interesting. I thought it was going to be in Wakanda and that it would be what brought the characters there for the climax. I did not see the Gamora thing coming at all, until she asked Peter to kill her. Then I was like, "She knows where the soul stone is!" The next time I see the movie, I really want to pay attention to Gamora's reaction when Thor says, "No one's seen the soul stone, no on even knows where that is." The other thing that I wonder about wtih Guardians 3 being after Infinity War is how they're going to pay off the post-credits scene with Ayesha creating Adam Warlock. Since Guardians 2 is set shortly after Guardians 1, this means Ayesha waited four years or more to unleash Adam, and she's still pissed about Rocket stealing batteries after Thanos? (Presumably, unless the heroes stop him first, he's eventually going to target the Sovereign as well, since he wants to wipe out half of the entire universe and has done this to other planets besides Earth before.) That just seems like a long time to hold onto a grudge about batteries. We'll see how James Gunn handles this. Also, we've heard from James Gunn that Vol. 3 will be it for "this version" of the Guardians team and will complete the trilogy, but will also help to set up the next 10 years of MCU storytelling. This suggests to me that it is probably the first MCU film out of the gate for 2020, in the May slot Vol. 2 used, which would make it the second film of Phase 4 after Homecoming 2. I also think that, if it's setting up things to be paid off long-term for Marvel, that's even more reason to believe Gunn that it will be set after Avengers 4, since if it were before, it would create some incongruous storytelling in that those new setup things don't get paid off by Infinity War and whatever #4 is called. This makes me very curious about how fast this will move with regard to the cast's other commitments. Although Marvel refuses to date anything until after Avengers 4, James Gunn has said Guardians 3 is targeting 2020, which means it probably shoots next year. Unless Thanos kills his daughter this evening, which I doubt, Zoe Saldana will need to be there for that. And, of course, James Cameron's production on the Avatar sequels is ongoing too. For the record, I swear I posted that before I even left for the theater for Infinity War, and this was a total hypothetical on my part. I had absolutely no knowledge or expectation that Thanos would really do this. When he actually did it, you could have knocked me over. Not only was I shocked because of what his killing Gamora meant for the story in Infinity War, but I also simultaneously thought, "Well, damn. I wonder if I should go edit that post when I get home." Then I thought that if I did edit it, the act of editing it might have revealed that I had guessed correctly to anyone who had already read it. So I ended up deciding to leave it. But I did think about it in the course of the film, and it's kind of creepy that I got it. I didn't realize he had said it would take place after this - nevermind! Who thinks Disney will move Avengers 4 forward a week so that it goes out on April 26 (with Thursday previews on April 25) next year instead of May 3 (with Thursday previews on May 2)? Since they were justifiably concerned about the ending leaking this year, I can't imagine that possibility will be any less significant next year, and I really hope there is no delay for U.S. audiences because I don't want to know anything about how this gets resolved before I watch it. I don’t know if they will, but I hope they do. It’s ok for a typical film when it’s out a week or so early elsewhere. Maybe a little annoying, but generally ok. However for something like this where it is more of an “event” and more people are tuned into the larger macrostory they really have no business with that kind of difference in release date. I’m so glad they changed the release for Infinity War. It’s been frustrating trying to stay away from all potential sources of spoilers since Monday. Adding another week to that would have been terrible. By the way, it’s going on 5 AM and I have to get up at 8, but I haven’t been able to wind down after experiencing this story tonight. My mind is still going over it. I think in the end half the universe got sucked into the soul stone (including Thanos). We already know he saw young Gamora, likely in there. And from the comics, we know it is possible to come back from the soul stone. Queue Avengers 4.